I'm not sure if the GOG version is up to date as GOG Galaxy displays an seemingly older 20171215 build being installed. Developers generally prioritize Steam and GOG versions of games may not receive minor patches and the updates may arrive months late — or not at all. Is it possible to verify the version in the game? Hit backspace on the main screen, it'll show the rev-version on the left. 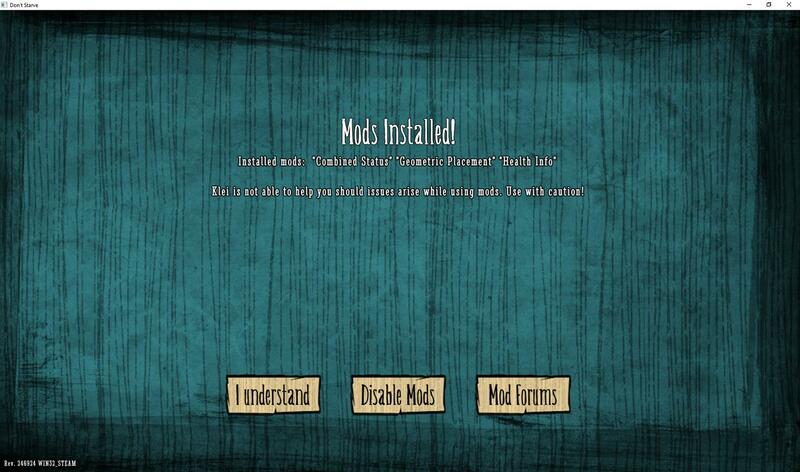 The version also shows on the "mod at your own risk" warning when loading the game with mods active. Not the answer you're looking for? Browse other questions tagged pc dont-starve or ask your own question. Can DLC for the PC version of Dragon Age 2 be installed mid-game? How do I restore a saved game in Don't Starve? Are there consequences to running a 'long day' game? How do I avoid the hounds? How do the special abilities of each character translate to game play? Does viewing the Map pause the game?